Actress Richa Chadda is all set to play the role of a popular adult film star from the south - Shakeela Khan. The biopic will be directed by Indrajit Lankesh. Best known for her adult films, Shakeela became a rage overnight after the release of her first mainstream film 'Playgirls', in which she acted alongside Silk Smitha. One of the most popular names in south even today, Shakeela has a story that makes for a compelling celluloid tale for the audience to watch. She rose to stardom after Silk Smitha, another popular actress from the south, who later took her own life. Shakeela grabbed every producer and director’s attention in the southern film industries and became the first female actor in Malayalam cinema to gain such popularity at a time when it was a largely male-dominated business. Richa, who is known for doing experimental roles, was the ultimate choice for the filmmakers of the Shakeela biopic. She recently met Shakeela in Bengaluru for the first time for an official meet and greet session. Both the real and reel Shakeela spent time together and are said to have bonded well. 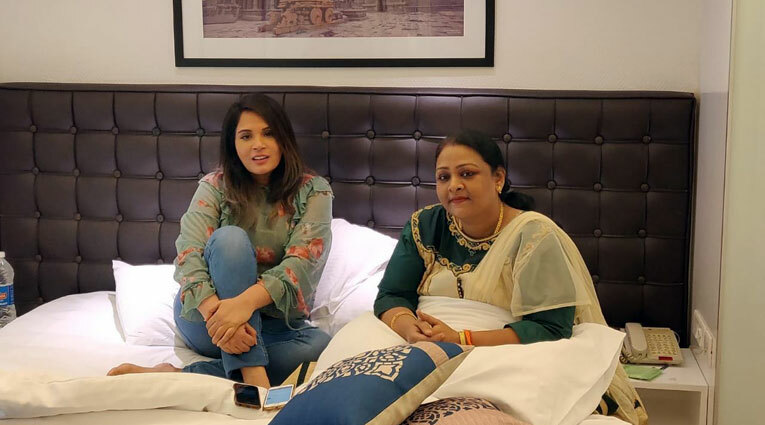 Shakeela reportedly shared anecdotes from her early days and her long career, giving Richa all the details she would need to play the part to perfection. In an interview given three years ago, Shakeela had said, “I always wanted to be a housewife — cooking, cleaning, feeding my kids and waiting for my husband to be back from work. But, fate interfered.” Shakeela became popular in the Malayalam film industry with the B grade film 'Kinnarathumbikal'. She had made several attempts to quit but poverty persuaded her to go back again. Indrajit Lankesh’s film on Shakeela is currently being shot in Thirthahalli, a small village in Karnataka. The film is slated for release in 2019.